Distinguished Professor Ali Riaz has presented a paper at a workshop on “Social Cohesion in Asia” November 16-17 in Singapore. The workshop was organized by Bertelsmann Foundation of Germany. 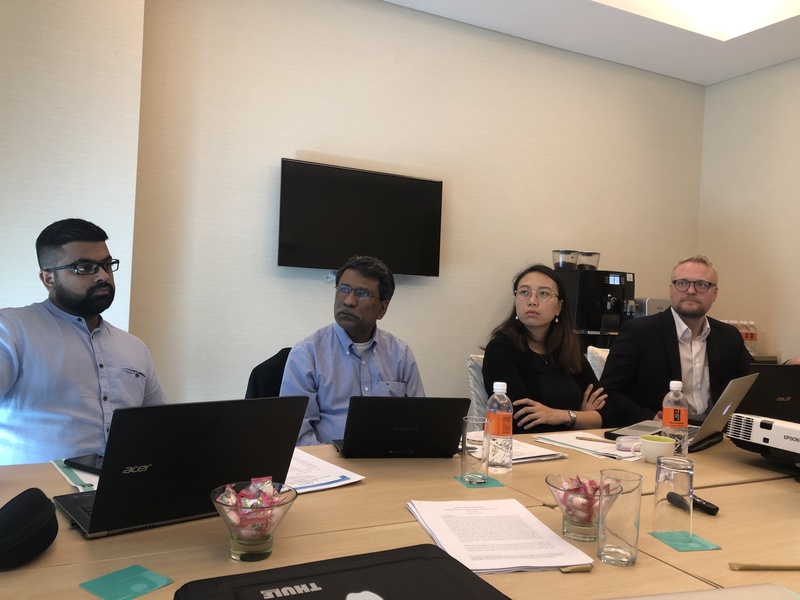 Riaz’s paper was titled “Bangladesh: Holding Society Together in a Low Cohesion Society.” Bertelsmann Foundation recently published the Asian Social Cohesion Radar (Asia-SCR), which comprises results of the state of social cohesion in 22 South and South East Asian Countries. The survey shows that Bangladesh is in the fourth tier of a five-tier classification (‘low social cohesion’). Riaz explains the causes of and conditions for this low level of cohesion and the factors which hold Bangladeshi society together. It is argued that political settlement among the elites has served as a two-edged sword; while it contributes to a semblance of social order, it has also contributed to a rise of neopatrimonialism and partyarchy, which are inimical to various aspects of social cohesion. The paper argues that social order in Bangladesh is maintained through intermediation. Intermediaries, rather than formal state institutions, are central to the maintenance of social order. It is also argued that growing authoritarianism serves as a factor for apparent social order.